Ms. Volk became a Certified Public Accountant shortly after college and has over 11 years of accounting experience in public accounting and the banking industry. After graduating from the University of Delaware with a degree in accounting, Ms. Volk spent 3 years with Ernst & Young serving clients in the financial institution, gaming, insurance, manufacturing and retail industries. Ms. Volk worked for 8 years in various progressive financial positions with Mellon PSFS. After devoting several years to raising her family, she resumed her accounting career with Carlton Services in 2006. 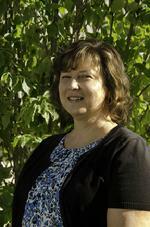 Ms. Volk joined Main Line Accounting in 2008. She is a Certified QuickBooks ProAdvisor®. Ms. Volk resides with her husband and two children in Chester County, Pennsylvania.